Yasaka Pagoda stands watch over the beautiful Higashiyama area of Kyoto. It used to be part of a temple complex which no longer exists. I could spend forever in this beautiful city! 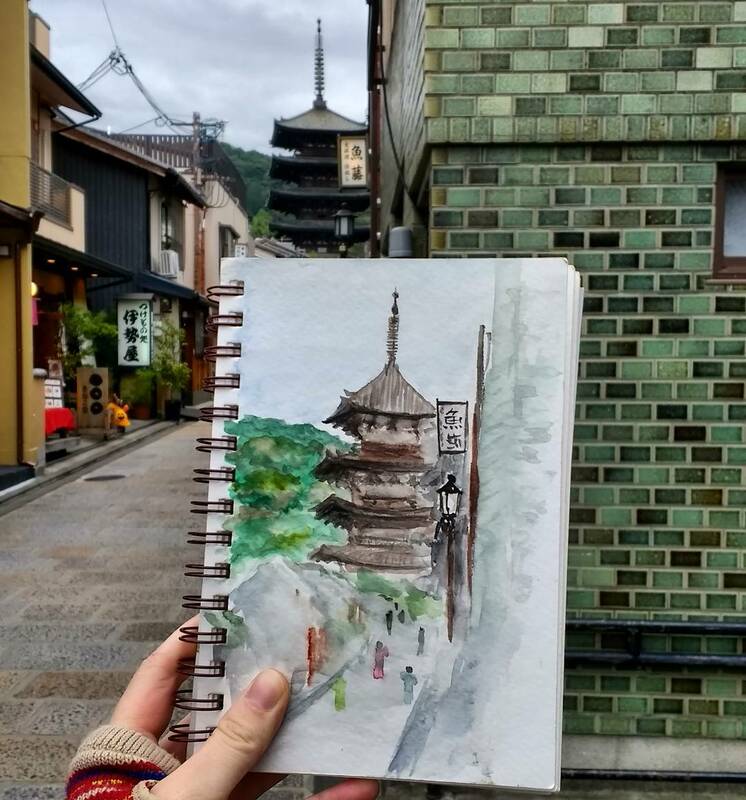 #travelsketchbook #travel #instatravel #travelwatercolors #travelbug #traveladdicts #travelasia #travelbugart #japan #traveljapan #kyoto #pagoda #temple #sketchbook #painting #worldtravel #pleinair #painting #japaninwatercolor #traveljournal #travelart #art #?? #?? #?? #??? #?? #??? ?